Expertise in management, business, IT, and finance. Experience working with small-medium size companies, large corporations, government agencies, and managed service providers. Experience with full life-cycle recruiting (networking, negotiation, contract administration, vendor & resource management). 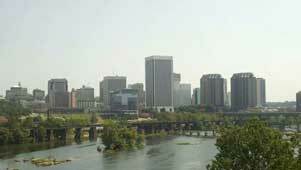 Green Technologies is a privately held, woman-owned company, located in the Metro Richmond, Virginia area. The company was incorporated in the State of Maine in 1998 and in the Commonwealth of Virginia in 2005. Certified by the Virginia Department of Minority Business Enterprise (DMBE) and the Women’s Business Enterprise National Council (WBENC) - Washington, DC office, as a small women’s business enterprise. Green Technologies has provided services to private sector companies, federal and state government initiatives, and other various clients. We are a well-established, experienced company and are highly respected in the business community. We have been in business for over 16 years. “Ms. Green and her company have been very prompt to respond to our company’s needs and effectively communicate status updates. Her ability to understand our business needs and to find the appropriate solution is highly commendable. I highly recommend Green Technologies to any company looking to find quality candidates and solutions for their business.” - Angela E.
“Lisa builds her organization on integrity and a solid work ethic.” - Samantha H.
“Lisa is very passionate about her business and has a tremendous drive. Lisa continues to build trusting relationships with her clients and colleagues with her commitment to excellence." - Pam D.